SurfTotal's very own Patrícia Tadeia had a little chat with Greg Webber. Greg and surfer David Baird are about to build the first ever wave pool in Australia, in Queensland. But future projects include other destinations, such as Cape City, in South Africa. Let's see what he had to say. Why did you choose Queensland? Mainly due to the fact that we have been in talks with David Baird for nearly 2 years and but also the fact that he surfs made it easier for him to see that the system would work when it is scaled up. Sometimes the risk is diminished because the developer can totally understand the system. I read that Cape Town (South Africa) and Florida (USA) are the next instalments. Is that correct? When? And why these choices? Well Capetown is looking good but we are a little further off making a decision with the Florida development. The developers in Capetown are in mining, and want to build the pool by the end of the year, which is amazing. We are yet to finalise the license agreements with the SA guys but it is looking positive. The decisions as to where these first pools go are not strategic at all, it is just a matter of which developers understand the system, see the potential and have the capacity to do it. What are the advantages of a project like this? It makes beautifully shapes waves that are hollow and it makes about 500 waves per hour. A never ending wave. Is that the dream of any surfer? Sure, but our most practical model for wave rate in relation to footprint is the looped linear pool. Anyone can make a number of pools to get their wave rate up for the complex but they will take up too much property. The pool needs to make as many waves as possible in the the least space possible. We can make 500 waves per hour in a 2 hectare pool, which is 250 waves per hour per hectare. Check the animation on the WWP website. We are going back into the university in Tasmania soon, to see if we can increase that rate even further. When will be finished and ready to open? Not sure, QLD by the end of next year but South Africa could be even earlier. Do you expect to receive some of the greatest surfers (ASP surfers)? Have you talked to anyone already? Will they try it? We have been in talks with one of the best surfers in the world but no agreement just yet. Which professional surfer would you like to have in you surf park? All of them. We hope to present new surfing events that fit within a one hour time frame. With no lulls and 500 waves in an hour this is possible. But the judging system we have is quite different to anything in surfing before and is probably closer to the formula used in street league skateboarding where we design the waves to have certain qualities in height and shape. Which we can do because we can control the waves, unlike what we have in the ocean. paradoxically though we can not only make random waves, that vary during the ride but we can actually repeat that wave, again and again, so that another competitor can ride the same random wave and be scored for their interpretation of the same wave. 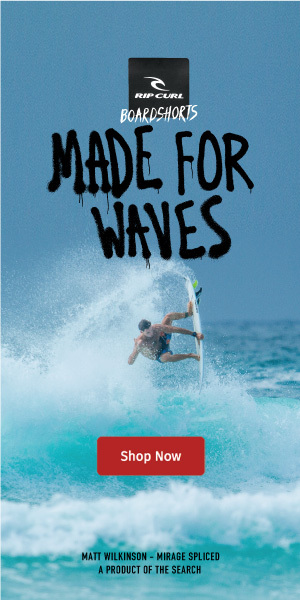 Of course the next competitors to ride this kind of wave cannot be allowed to see that wave or they would have an advantage, so it's going to be pretty odd, having 15 surfers blindfolded or hidden in a secured room unable to wee what is being thrown at them. The wave can change from 1m to 1.75 m in seconds, so there can be some pretty wild changes if we like. This first ever surf park will pump 15-second rides. The structure is able to produce 500 waves per hour. These artificial waves can reach 1.75 meters (5.7 feet). Is this correct? Why not bigger waves? We can make bigger waves but we want to keep it to 1.75m and under for the first pool. However the south African team have been talking about even bigger. Próxima "I still feel like a kid when I'm at the beach"